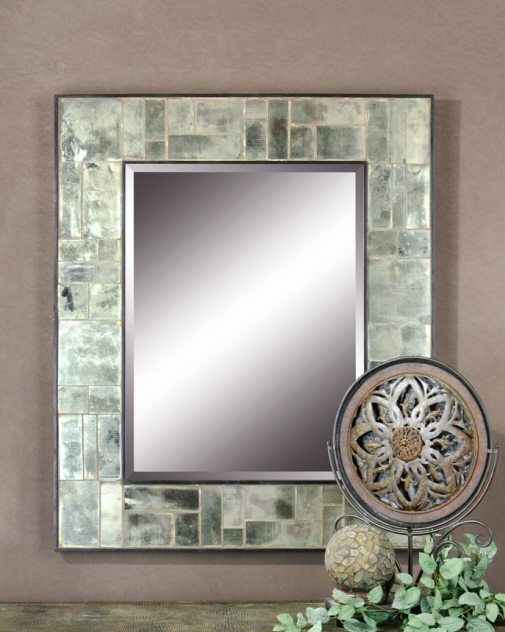 Antiqued, tiled mirrors suround the center beveled mirror and finished with a narrow black frame. 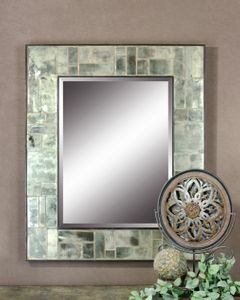 Center mirror has a generous 1 1/4" bevel. Dimensions: 48"W X 58"H X 2"D.